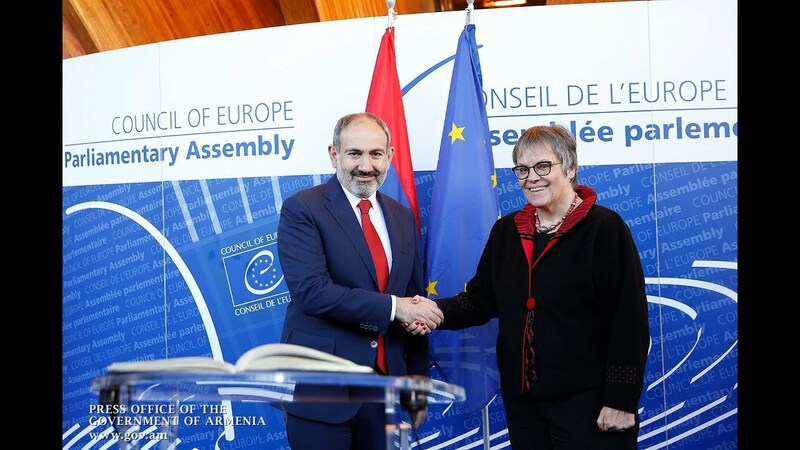 Armenia’s relations with the European Union (EU) are following the right course. The sides are negotiating a new framework agreement, with trade and investments being an important part of it, German Ambassador to Armenia Matthias Kiesler told Tert.am on the sidelines of a business forum organized in cooperation with the European Business Association and diplomats. Elaborating on cooperation between Armenian and German companies, Mr Kiesler highlighted the event. In this context, he pointed out concerns voiced by the chambers of commerce and business associations in a number of countries wishing to invest in Armenia. The forum is evidence of the Armenian government being most serious about it. Mr Kiesler referred to Ambassador Piotr Świtalski, Head of the EU delegation to Armenia, who highlighted the Armenian premier’s participation in the forum and his interest in economy. The premier also demonstrated his readiness to know about the concerns of the community willing to invest in Armenia. The EU is openly discussing problems with Armenia’s government. And the presence of Armenia’s minister of economy was a favorable sign as well. He appears to be willing to help foreign investments in Armenia. As regards progress in Armenia-EU relations Mr Kiesler sees in the context of previous problems, he said that Armenia’s relations with the European Union (EU) are following the right course. The sides are negotiating a new framework agreement, with trade and investments being an important part of it. It proves the Armenian government’s interest in relations with the EU. On the other hand, Armenia is a member of the Eurasian Economic Union (EEU). However, this is also evidence the two factors can be combined. Asked about threats German MPs have been receiving since the German Bundestag adopted the Armenian Genocide resolution, Ambassador Kiesler said that it is unacceptable. Even speaker of the German Bundestag Norbert Lammert stated it was unacceptable that any of the German MPs receive threats because of vote.